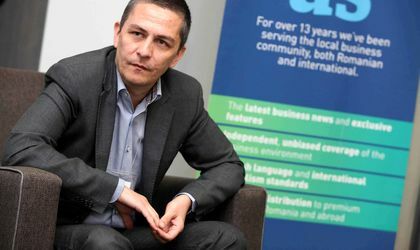 eMag, controlled by South African internet and media group Naspers, is racing to reach the EUR 1 billion milestone in turnover under the helm of Iulian Stanciu, the online retailer’s CEO. Stanciu, who believes that everyone should try to open his/her own business before seeking a job at a multinational or in the public sector, has continued to develop the eMag marketplace, in a bid to get more sellers on the platform, and in turn attract more buyers. The retailer was set to record 2,000 sellers on its marketplace last November, and Stanciu said that the target was to double the figure by this summer. In fact, the retailer’s business has been recording two-digit growth in the past few years and the CEO is confident that this pace will be maintained in the coming years. But while global e-commerce giant Amazon is doing PR stunts with drones that deliver small parcels to clients, eMag is working hard to make sure that products ordered by customers get to their destination as soon as possible. The retailer has inked a deal with state-owned postal operator Posta Romana to accept eMag parcels as delivery firms have come under intense pressure, especially during the Romanian version of Black Friday – also launched by Stanciu in 2011. 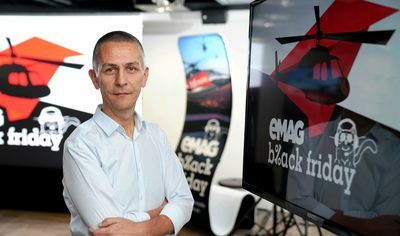 Under Stanciu’s watch, eMag has moved its operations aggressively onto mobile, rolling out its own app that was intensively used during the latest Black Friday event. In 2016, the e-commerce player recorded a traffic increase of 63 percent to 270 million visits, and an average of 55 percent of the total traffic came from smartphones and tablets. Mobile generated 60 percent of the traffic in September and December. Meanwhile, visits from desktops reached 120 million, an increase of 23 percent year-on-year. As mobile “eats” everything, the retailer is also working on artificial intelligence and is planning to roll out its own chat bot, in a bid to increase interaction with potential buyers. Last October, representatives of eMag said in a press conference that the voice command was becoming even more important than the touch option on mobile devices. Last year, the retailer also announced the launch of a tech testing and implementing center for new technologies, representing a EUR 500,000 investment. eMag Labs will test and implement new technologies such as Virtual Reality (VR), Internet of Things (IoT) and machine learning, among others, to be used in e-commerce. The solutions developed here would also be implemented by Naspers at global level. And while working on new technologies, Stanciu had time to negotiate the acquisition of PC Garage, the online IT and electronics retailer, which was owned by Romanian entrepreneur Marius Ghenea. With eMag having branched out in Bulgaria, Hungary and Poland, in one of the rare cases in which a Romanian firm was able to become a regional powerhouse, Stanciu thinks that the EUR 1 billion worth of orders mark could be reached this year. In early January, eMag launched a new initiative for local producers that were willing to sell their products through the marketplace operated by the e-commerce player. The retailer invested EUR 50 million last year, but Stanciu believes that going forward the challenges are related to the logistics infrastructure and the attraction of employees. eMag was founded in 2011 and was one of the pioneers of the local e-commerce industry. In the last 16 years, the company has expanded in Bulgaria, Hungary and Poland. In 2012, Naspers bought a 70 percent stake in the retailer.